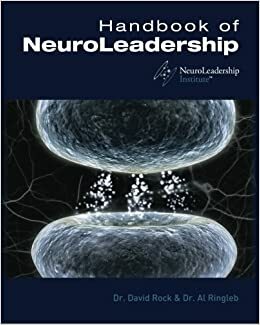 I was originally introduced to the concept of NeuroLeadership via an article that my step-sister was reading for a work conference – SCARF: A brain-based model for collaborating with and influencing others (NeuroLeadership Journal, 2008). I was intrigued, since I had been researching effective leadership methods for the company I was with at the time, and so I Googled around to see if there were any books or materials on the subject. I found a sole Handbook of NeuroLeadership on eBay and jumped at the opportunity. I started reading it casually in my spare time but soon found myself completely immersed. The idea that we could bring the rigorous study of neuroscience to the realm of leadership and actually study how the brain functions when performing in leadership capacities was fascinating to me. Previously, the leadership models were primarily based on behavioral science. They would observe what people did in leadership roles and find trends across sample populations. They would then hazard educated guesses at cause and effect, presumably trying to predict how future actions would play out. It seemed to be a somewhat reliable method dependent on predictable probabilities, but it was an imperfect system that didn’t really get to the root of HOW these leadership trends were taking place. I’ve always been interested in how humans interact with each other and themselves, and, since I was on a quest to find real answers and solutions for the organizational problems that my company was facing, it seemed like NeuroLeadership might be THE answer. The researchers assert that the four tenets of NeuroLeadership are: Decision Making, Collaborating with Others, Self Regulation, and Facilitating Change. After years of analysis and study, the NeuroLeadership Institute has discovered that those four factors determine whether someone will make an effective leader or not: They must be able to make sound and timely decisions, they must be able to collaborate with others as well as manage others’ inter-collaboration, they must be able to effectively regulate their own emotions and actions, and they must be able to enact organization change in an efficient and non-threatening manner. The researchers even went as far as studying the mechanisms within the brain that are vital to such processes and are in the process of determining ways in which people can strengthen and enhance their leadership skills by training their brain. Sound theory and action, all in one? Sign me up! After I had read through as good portion of the 600-page Handbook, I decided to further my education and take advantage of the Foundations of NeuroLeadership Certificate course that the Institute offered online. The course confirmed my recent realization that, in the realm of business development, businesses can only develop as far as the individual people running the business were willing to develop themselves. They could try and enact external changes to the business – trying different processes, organizations, or procedures – but the changes would be slightly effective at best and downright destructive at worst. This concept of personal development fascinated me since I had been on my own personal development journey for a while already and, to be honest, trying to excel in the world of small business development by trying to get unwilling colleagues to enact new changes to the way they did things was a frustrating endeavor. I was already reading all kinds of personal development books in my spare time so I started looking into how to use personal development as I furthered my career. Now, as I move into expanding my coaching business, I am have created services for Wellness Coaching as well as NeuroLeadership Coaching because I want to create a coaching practice that incorporates neuroscience to maximize the potential benefits for the client. Interested in more? Stay tuned!